Although this piece is simple enough, measures 17-18 and 23 pose a real challenge because of the precarious shifts. In each, I found that besides the obvious challenge of hitting the right note, I also tended to try to leave it early - even if I nailed it. 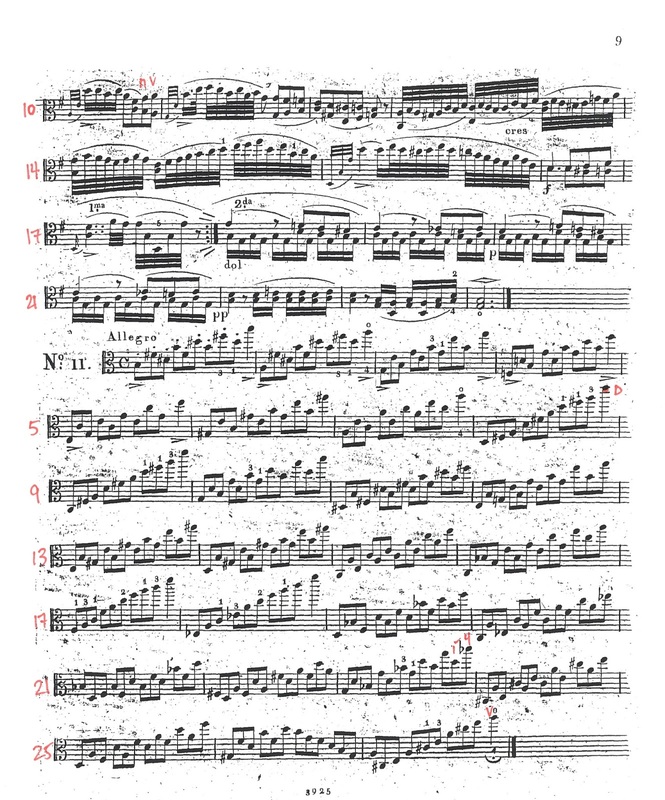 As I work through these caprices, I find that even in the simpler ones, Campagnoli usually manages to throw in some monkey wrench just for the extra challenge!